← Henriksen, Kurtén (eds. ): Crisis and Change. Religion, Ethics and Theology under Late Modern Conditions. 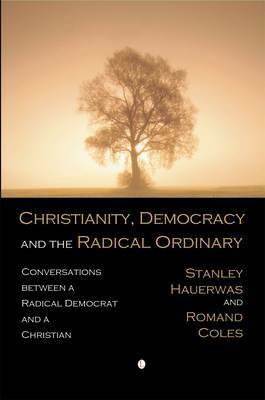 Stanley Hauerwas & Romand Coles: Christianity, Democracy, and the Radical Ordinary. We love the idea of these kinds of books don’t we? The concept of two intellectuals, from different backgrounds getting together and discussing important themes thoroughly enough to produce a book. When the two persons involved represent such particular traditions as Coles’ radical-democracy and Hauerwas’s Christianity it has to become interesting, right? The problem is that this is not that kind of book. It is far more Coles than Hauerwas to begin with (8 of the fourteen chapters are written by Coles, and one of them are over 60 pages!). Several of the chapters by Hauerwas have been published elsewhere (in State of the University and Living Gently in a Violent World) and there is only one chapter (and the extremely interesting conversation in the last chapter) where Hauerwas comments on Coles’ text. 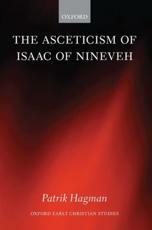 So, this is essentially a book by Romand Coles in which he discusses the relation between radical democracy and Christianity, using mostly Hauerwas as a source. Its a bit more than that, but that is what is interesting here. It would not have been as marketable, but a book by Coles that included a ”response” by Hauerwas would have been closer to the truth (and thinner if one would leave out the already published texts by Hauerwas. That said, it is fascinating to read Coles, who does not believe in God, interpreting Hauerwas (and Yoder, Vanier, R. Williams). His readings do open up new perspectives and and serve to place Hauerwas politically in a way that makes Hauerwas’s ecclesiology much clearer. Cole’s discussions of the Christian roots of the radical-democratic tradition is interesting, especially the chapter on Ella Baker – though I have to confess that the 60 page essay on Wolin had me drifting in and out of consciousness. Read this way, the book is very valuable for anyone interested in the the politics of Hauerwas.